A huge new specimen of Tyrannosaurus rex has been uncovered in northern Montana, and researchers say it may offer intriguing insights into the lives of the iconic carnivores at the very end of the Age of Dinosaurs. Paleontologists have uncovered about 20 percent of the animal so far, including several vertebrae and ribs, and large parts of the skull, pelvis, and jaw. Based on what they’ve discovered to date, they estimate that the dinosaur is among the largest T. rex specimens ever found, having stood about [or 20 feet] at the hip, and stretching up to [40 feet] from nose to tail. 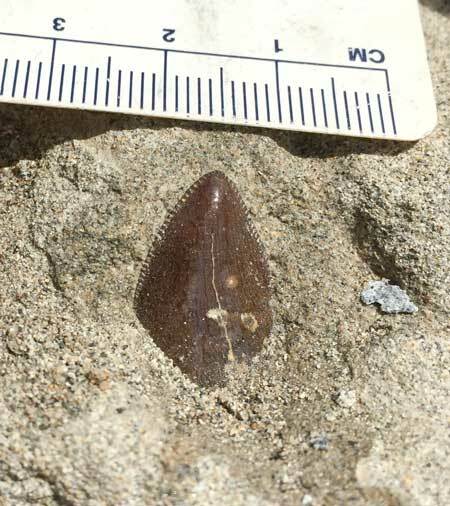 In honor of the two volunteers who made the find — named Jason Love and Luke Tufts — scientists have named the specimen Tufts-Love, and they say it may have a lot to teach us. “Having seen the ‘Tufts-Love Rex’ during its excavation, I can attest to the fact that it is definitely one of the most significant specimens yet found, and because of its size, is sure to yield important information about the growth and possible eating habits of these magnificent animals,” said Dr. Jack Horner, research associate at Washington’s Burke Museum, which is spearheading the excavation. The first fragments turned out to be pieces of vertebrae, whose large size and porous structure suggested that they belonged to a carnivorous dinosaur. 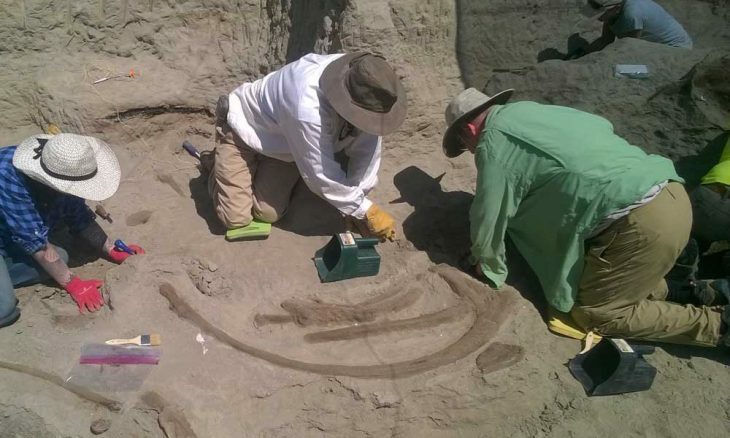 “At this point, we knew it was a dinosaur because of the size,” said Dr. Gregory Wilson, University of Washington paleontologist who led the research team, in a separate statement posted by the Burke Museum. 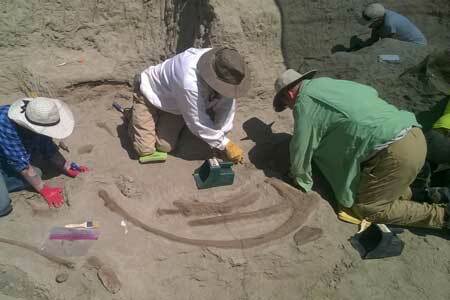 After two weeks of digging, the team uncovered more pieces — first some enormous ribs more than a meter long, followed by pelvic bones, and more vertebrae. Then came the skull, only partially exposed, but sprouting large serrated teeth. And then the scientists knew exactly what kind of dinosaur they were dealing with. “When we started to see those teeth with the skull, we knew we had a fantastic specimen,” Wilson said. “The combination of the skull features, the size of the bones, and the honeycomb-like appearance of the bones tell us this is a T. rex. With more of the remains exposed, the scene of the dinosaur’s death began to come into focus, researchers say. The fossils were entombed in a layer of sandstone that was once a Cretaceous river bed. So the T. rex may have died in the water, or it may have died on land — from as-yet unknown causes — and then washed into the river during a flood. But no matter how it died, Tufts-Love seems to have lived during some of the very last days of the dinosaurs. The layer of sediment where the specimen was found has been dated to 66.3 million years ago. And just above it, scientists found the geological layer that marks the Cretaceous–Paleogene extinction event — the series of calamities that caused the extinction of ancient dinosaurs. The parts of the dinosaur that have been found so far have been encased in protective plaster and shipped to the Burke Museum in Seattle, where the fossils will prepared — a process in which the surrounding rock is carefully removed from around the fossilized bone. But plans are already in place to return to Montana next summer, because there’s likely more of Tufts-Love — and its life story — still waiting to be discovered. “There’s a very good chance that the other half of the skull is there,” Wilson said. It’s weird to read about ‘parts of the skull’ being uncovered when the newspaper is telling us the whole skull is encased in plaster and on display in Seattle. 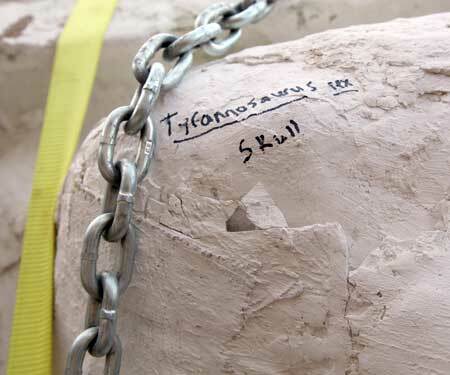 What they’ve shipped to the museum is a giant hunk of rock that they know has at least part of the skull in it, but as you can see from our post, they don’t think it’s the entire skull.